Groupon provides a global marketplace where people can buy just about anything, anywhere, anytime. We’re enabling real-time commerce across an expanding range of categories including local businesses, travel destinations, consumer products, and live or lively events. 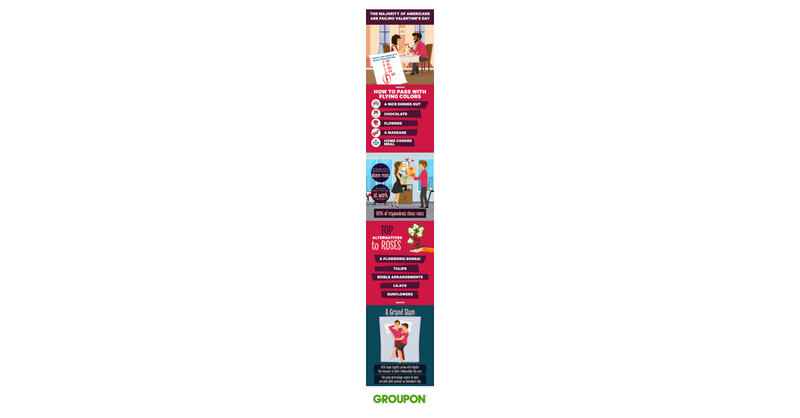 Groupon plans to hold a conference call to discuss its Q1 2019 financial results on Wednesday, May 1, 2019, at 10:00am EDT. Groupon is the latest app to hit the 200 million download milestone, joining Instagram, YouTube, Candy Crush Saga and Spotify, among others. Why Nudge.ai? Reach out to the decision makers at Groupon with a personalized email - let them know that you found their recent news mention interesting. Nudge.ai’s relationship intelligence platform can help you find the right executive to reach out to at Groupon, such as Julie Szudarek, SVP and General Manager, Groupon Daily Deals, or Rich Williams, Chief Executive Officer. Then get in touch and start a conversation. Executives can be difficult to reach, but every company has connectors who bring together people and ideas. At Groupon, people like Joseph Nalevka, and Chris Stevens are likely connectors. When Groupon is mentioned in the news, companies such as Paypal are often also mentioned. These companies can serve as customer examples. Employees who are often in the news are usually open to starting conversations or exploring ideas. Nudge.ai's sales AI saw Chris Stevens, Shafiq Shariff, and Aaron Cooper from Groupon recently mentioned in the news. As the technology industry continues to grow, it’s important to focus on career growth. Here are 10 actionable technology career tips we've learned. Groupon asked 2,000 people about Valentine's Day and found nearly 60% of people would give their partner an F for the effort they put into the day. Who in your network can introduce you to Groupon? Nudge.ai finds the best pathway to reach contacts at this company.